Reading the news these days, one might come to the conclusion that millennials are destroying industry after industry. But locals say that such a trend is not so in Chicago’s West Loop. 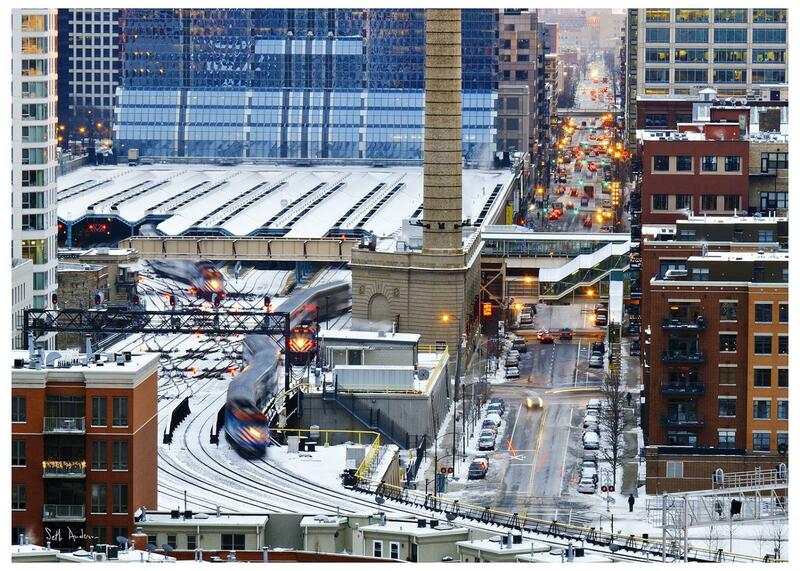 West Loop has been named the country’s “top millennial hot-spot” in a recent report by residential rental website RENTCafe.com, which says 73 percent of the urban neighborhood’s residents are Millennials. According to the most recent American Community Survey (ACS) the neighborhood saw an 11.5 percent increase in population between 2015-2016. The Millenial presence has led to significant changes in the area. The design of these buildings has also seen a shift as millennial population continues to rise. The high density of millennial residents in West Loop has also brought an influx of business to the area. Major companies including Google and McDonalds have moved their headquarters to the quickly-growing neighborhood. The Companies Pinterest, CareerBuilder, and Ferrara Candy have also announced moves this summer. Millennials have done more than draw big business, however – local businesses are thriving in the area too. Formerly home to factories and warehouses, the West Loop has been transformed into a pinnacle of boutiques, art galleries, and restaurants. 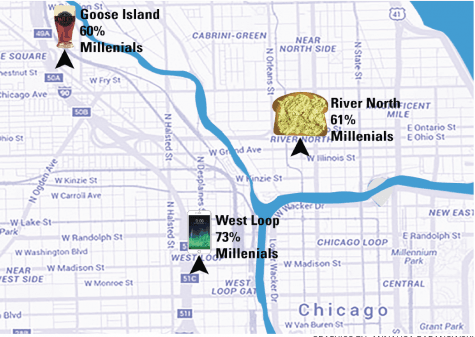 But Millennials have not been the only demographic to benefit from the surge in West Loop interest. The other 27 percent of West Loop residents, comprised of primarily Baby Boomers and Generation X, say they’ve benefitted from their increase in millennial neighbors. On another end of the spectrum, the rapid millennial-aged population growth spurt has led to improvements in West Loop’s schools, specifically Mark T. Skinner West Elementary School. Rated the number one public elementary school in Chicago by Chicago Magazine, Skinner Elementary is in the process of being expanded. The new annex is expected to be opened in 2019. Chicago as a whole may already be reaping the benefits of the West Loop’s millennial inundation. New and familiar businesses are bringing jobs; McDonalds recently-opened headquarters alone was projected to bring roughly 960 new jobs to the area, according to the office of Mayor Rahm Emanuel. But West Loopers say they are more focused on the neighborhood they call home.